Colombo, April 9 (newsin.asia): By the end of 2017, Chinese companies had completed more than US$15 billion worth of infrastructure projects in Sri Lanka in the field of transportation, water supply, electricity, ports and other fields, and had made great contributions to the economic and social development of the island nation, says the Chinese Ambassador, Cheng Xueyuan. “The pragmatic Sino-Lankan cooperation has created more than 100,000 jobs for Sri Lankans and trained tens of thousands of technical and management personnel. The Colombo International Container Terminal (CICT) employs more than 1,000 local technical staff, who account for 90% of its employees. Such kind of cooperation has laid a solid foundation for Sri Lanka to further its own development,” Cheng said in a statement on Sunday. In the past five years, China and Sri Lanka have made significant progress in jointly furthering the Belt and Road Initiative (BRI) in Sri Lanka, the envoy said. Envoy Cheng said that China and Sri Lanka have strong complementarities, and the potential for cooperation is still far from being fully realized. “Colombo Port City together with Hambantota Port and the Industrial Zone near the latter are like two powerful engines for Sri Lankan economy to take-off,” the envoy said. Colombo Port City is jointly developed by a Chinese company and the Sri Lanka Port Authority, aiming to build a shipping, logistics, tourism and financial center in South Asia, with a direct investment of US$ 1.4 billion and a planned second-level Building Complex valued at US$ 13 billion, Cheng said. 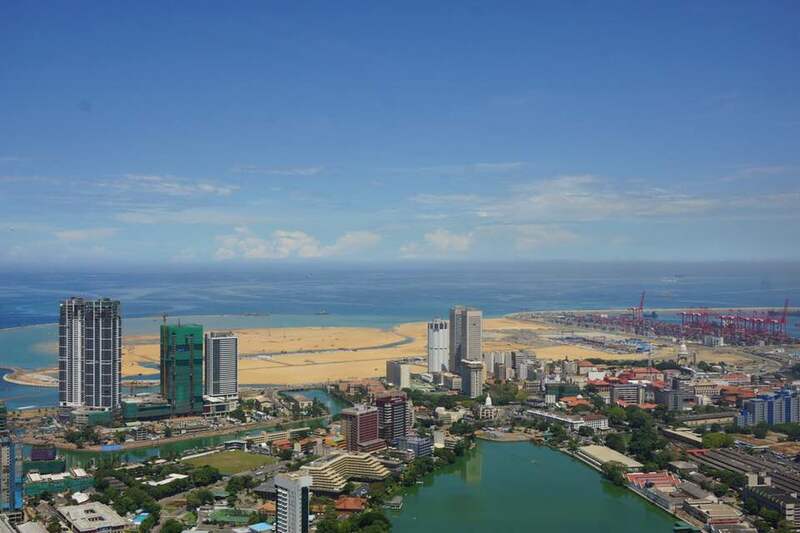 “The Colombo Port City or Financial City is expected to create more than 80,000 jobs. 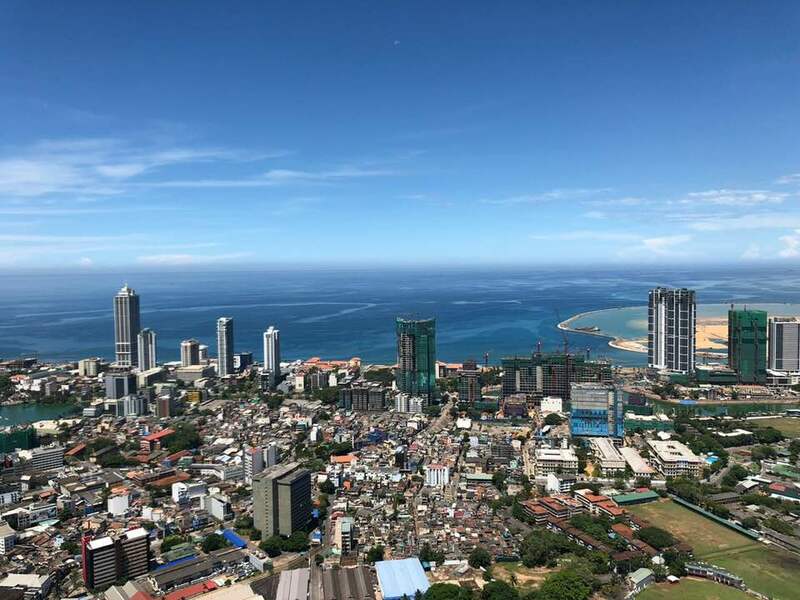 At present, 80% of the land reclamation projects have been completed, and the investment promotion of Colombo International Financial City Complex Building Complex is also proceeding smoothly. The Port City has already attracted the attention of a large number of investors from China, the US, and Europe,” he said. Envoy Cheng said that China filled a vacuum that existed in Sri Lanka after the end of the 30 year war against the Tamil militants in 2009. “At that critical moment, it was China which participated in reconstruction. As a result, Sri Lanka become one of the first countries to openly support the Belt and Road Initiative (BRI), since it was highly compatible with Sri Lanka’s national development strategy,” the envoy said. 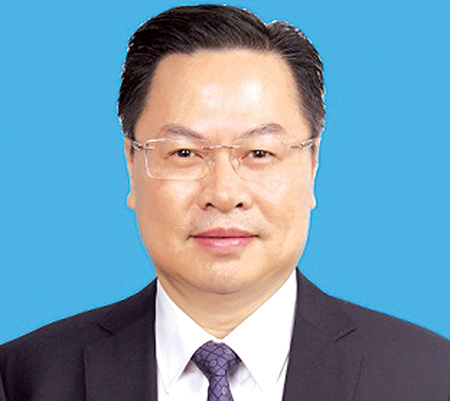 Cheng said that he is glad to learn that President Maithripala Sirisena, Prime Minister Wickramasinghe, and other political leaders of Sri Lanka have all expressed their willingness to actively participate in jointly building the Belt and Road and make full use of Sri Lanka’s superior geographical position to build itself as the Hub of Indian Ocean. “More and more Sri Lankans have realized that the BRI is a golden opportunity for the development of their economy,” he added. 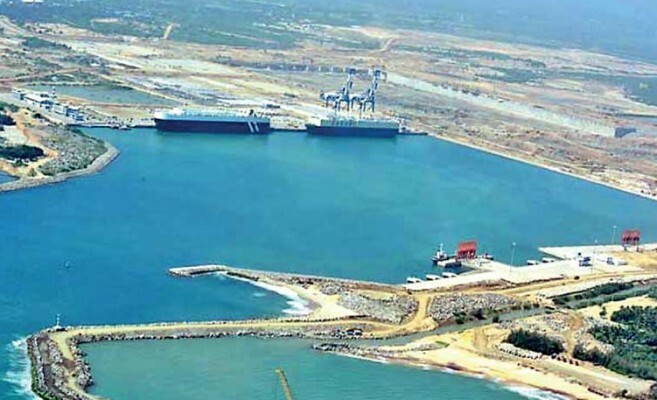 About the controversial Hambantota port in South Sri Lanka, the envoy said that with its excellent location, the port will play an important role in the development of the southern region of Sri Lanka. “Three months since then, the port is now developing fast. The Ro-Ro shipping business has increased significantly, and the shipping supply business is rapidly recovering,” the envoy said. In addition, both sides have also agreed to establish an Industrial Park in Hambantota to fully explore the huge advantages of the port. At present, negotiations on large-scale projects such as LNG power stations, petroleum refinery, cement, iron and steel manufacture are accelerating, which are expected to bring drastic changes to the local economy and people’s livelihood and would surely become another new engine for Sri Lanka’s development,” he said. The Belt and Road Initiative (BRI), which is Chinese President Xi Jinping’s flagship project, is China’s answer to the economic problems facing the world today, Cheng said. “China’s development cannot be isolated from the world, and the development of the world also needs China,” the envoy said. “ Today’s world is lacking in motivation for economic growth. It is full of turbulence in certain areas. There are imbalances in regional development. Some global and regional powers often shift their own problems to other smaller countries, in order to maintain their own interests, triggering alarm bells about the onset of unilateralism and anti-globalization,” he pointed out. The BRI, the envoy said, has come at the right time to give the troubled world an alternative and show a new path out of the mess the world is in. “The BRI conforms to the trend of the 21st century in peace, development, cooperation, and win-win cooperation and provides an all-inclusive development platform for almost all countries around the world,” he added. “President Xi Jinping has reaffirmed that China will persevere in the path of peaceful development, forging a new form of international relations featuring mutual respect, fairness, justice, and win-win cooperation, building a community with a shared future for mankind, for which the Belt and Road Initiative has been raised as an important practice path,” the envoy added. Envoy Cheng called for the abandonment of the Cold War mentality. “The abandoning of Cold War thinking and zero-sum game concept is a must for the promotion of BRI. The real reason why the BRI is widely supported lies in its clear equality, openness, and inclusiveness,” he said. “We’re fully confident that as the Belt and Road cooperation continues to develop along the right track, those blinding and irrational criticism of BRI will eventually disappear like the floating clouds,” Cheng said. “A population of 1.3 billion has generally achieved a well-off society level, which contributes to global poverty reduction by 70%, and more than 30% to global economic growth,” he said.